Nissan Motorsport has confirmed that leading Australian caravan manufacturer Jayco Caravans will be the major sponsor of Todd Kelly's Nissan Altima V8 Supercar in a new multi-round deal. Kelly's #7 Jayco Nissan Altima will be seen for the first time in the striking new livery for the Winton event, beginning Friday. Beyond the multi-round deal, Jayco's will remain a supporter of Kelly's entry with the logo continuing to appear on the #7 Nissan for all remaining events of 2015. "I'm very excited to work with Jayco. I have been a proud Jayco owner for many years and regularly enjoy camping and caravanning with the family," Kelly said. "To have the opportunity to work with a brand that I enjoy away from racing is a fantastic opportunity. "Jayco is an exceptional brand and a market leader so to have them join our stable and to represent them on the track is a honour." Jayco, an Australian manufacturer of recreational vehicles, is no stranger to V8 Supercars circles, having sponsored V8 Development Series teams in the past. This new deal with Nissan Motorsport, however, represents the company's first foray into the 'Championship' scene. "Our team works very hard on bringing greatnew sponsors into V8 Supercars as our sport continues to grow, and this is another great example of that," Kelly said. "It's also exciting for me to debut the new colours at our home event at Winton. It's a track that has been kind to us in the past and we're hoping we can continue our push forward there." Jayco Marketing Manager Chris Blunden said the company was excited to work with Kelly and the V8 Supercars team. "We're a proud supporter of top level motorsport in Australia as well as grass roots," he said. "Like Nissan Motorsport, Jayco is a proudly Australian-owned company providing products suitable to motorsport enthusiasts. You only have to look around any V8 Supercars event to see Jayco's involvement with teams and fans of motorsport in Australia." 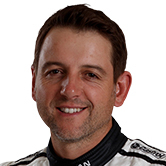 Winton marks Kelly's 205th championship round and currently he has the fourth most round starts of active drivers behind rivals Craig Lowndes, Garth Tander and Jason Bright. NP300 Navara Winton SuperSprint kicks off this Friday with practice, followed by two days of qualifying and race action. Highlights: 20.30 ONE, 24.00 Ten. Highlights: 16.00 Ten, 20.30 ONE.